LG's history when it comes to updating phones is not great — so much so, in fact, that the company went out of its way to announce a whole new Software Upgrade Center earlier this year to combat the problem. It's too early to tell if it's making much of a difference, but the company has just announced that the Korean G7 ThinQ will be getting upgraded to Android 9 Pie in Q1 2019. The reveal comes courtesy of a roadmap published at LG's site. While none of us can read Korean, the magic of Google Translate assures us that a "Pie OS upgrade" is planned. Translation added on the right. Apart from that info — a three-month window and the fact that it will be getting Pie in Korea — nothing else is known yet. There could (and likely will) be an even longer wait until US carrier devices, unlocked phones, or SKUs in other countries see the update. According to My LG Cell Phones, a Pie beta has been running for the G7 ThinQ in Korea since November, giving the company several months of testing before the update lands. 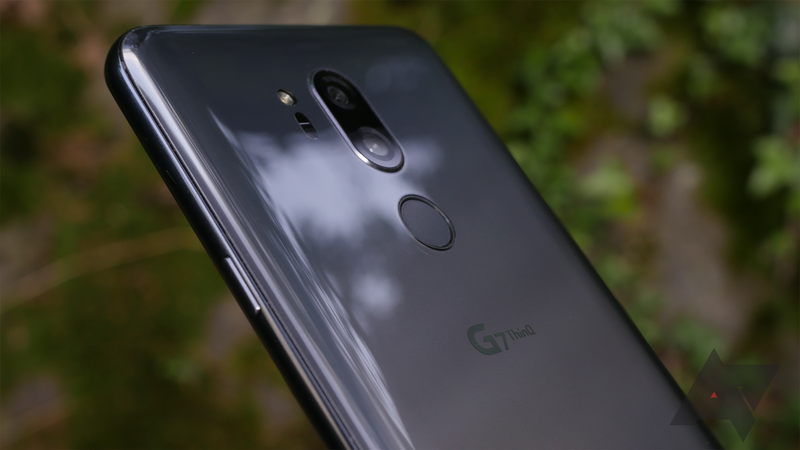 LG also previously updated the G7 One to Pie last month, so the G7 ThinQ won't be the first device from the company to see Android 9. Whenever LG finally bequeaths Pie to US owners of the G7 ThinQ, it should at least be stable. That software center must be making at least a bit of a difference. LG may still be late to the Pie party, but it's finally starting to kinda-sorta keep up with Samsung. Okay, so that isn't really praise, but based on reports, Pie is starting to roll out for the G7 ThinQ in South Korea as we speak. If you're there and waiting for it to hit your own phone, feel free to peruse LG's updated G7 Pie user manual for the phone (direct download warning). G7 owners in other countries will have to wait a bit longer yet.